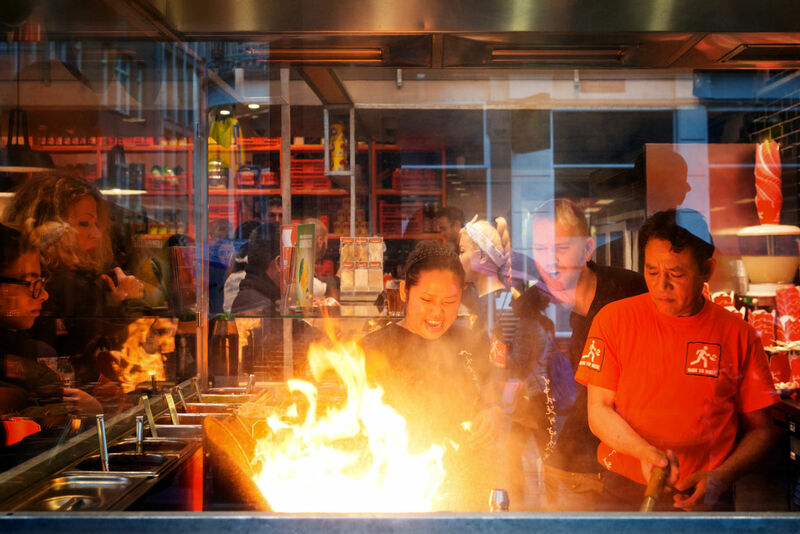 Wok to Walk is a quick service restaurant chain specialised in Asian food, stir-frying and wok cooking. The best exotic fast food to take away or to eat in the restaurant. 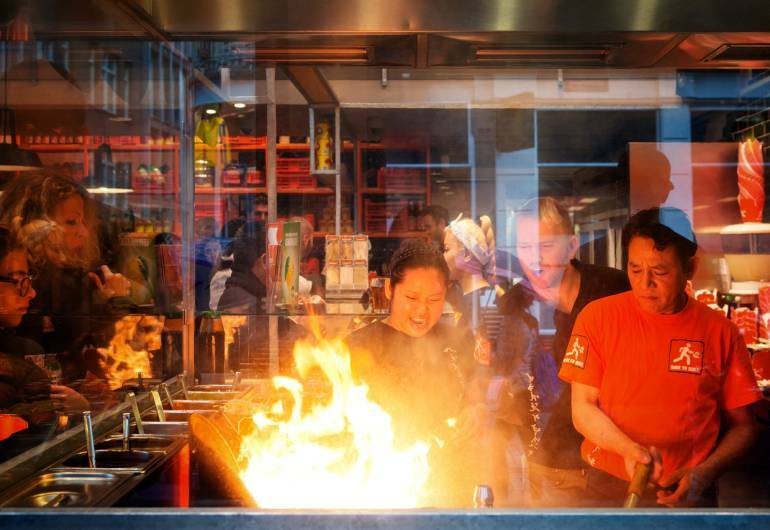 We are proud masters of the art of wok. You pick the ingredients and we funk them up with our savior faire and secret sauces. As fast as counting 1-2-3 you get a delicious meal to take in our restaurant or away, depending on your mood. What you see is what you get: a concept that is as fresh as the interior design of the place. An open kitchen, ingredients that come straight from the market all carefully displayed to inspire you and a spectacular preparation in front of your eyes. You decide what you eat and how much you spend playing with their 3-step-menu. From $4.95 on, there are more than thousands of combinations including vegetarian, gluten free, nut free and gourmet options. Total freedom for a perfect meal! Leaving aside the obvious nutritional benefits of the wok as a quick meal, the spectacle itself is worth a visit. Wokists do dance with fire. The service is fast and nice. And their playlist is a must have. After their great success in Manhattan, they’re opening their first location in Newark. You now have another chance to grab nice and inexpensive meals on the go. Highlight it on your radar!